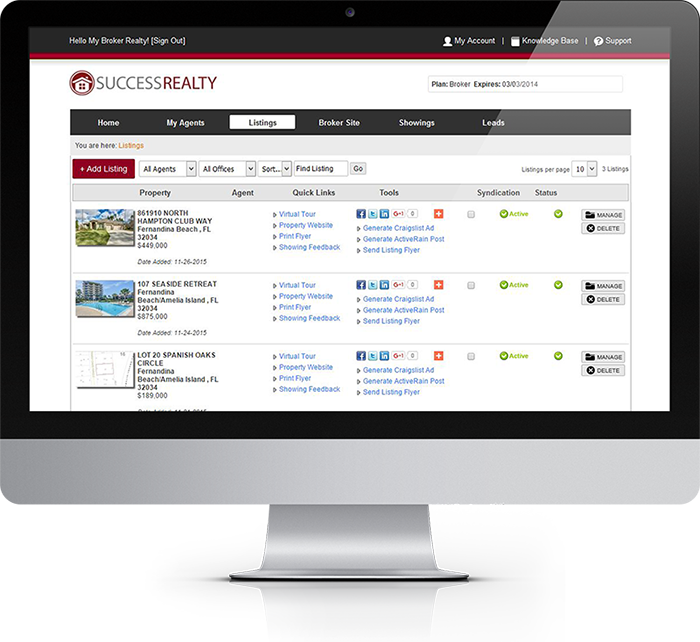 Every successful real estate brokerage starts with a solid real estate marketing platform. Our eAgent360 Real Estate Broker Platform gives your brokerage that solid foundation for the success of your organization and your real estate agents plus scaleability as your brokerage grows. With our real estate broker platform, you’ll be putting the right products and marketing tools in place for your brokerage and agents to be successful. The broker platform control panel puts the steering wheel in the hands of your organization. Manageability of your agents is easy as you’ll be able to add or remove agents and determine each agent’s plan. 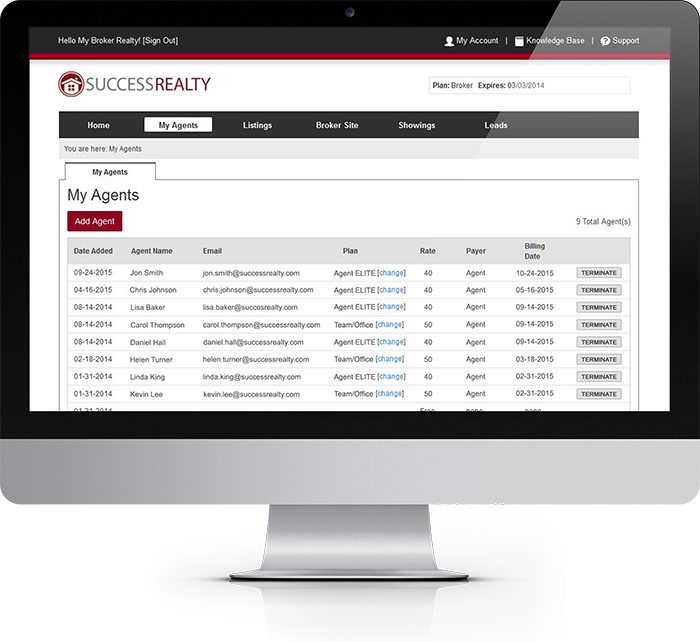 Adding new agents is simple and our powerful system will automatically create an account for each of them with a full professional high-end real estate agent website. You’ll also take full control of billing and determine if your brokerage or the agent will pay for the service. The broker platform control panel also let you oversea the activities of your agents and manage listings, showings, and leads. 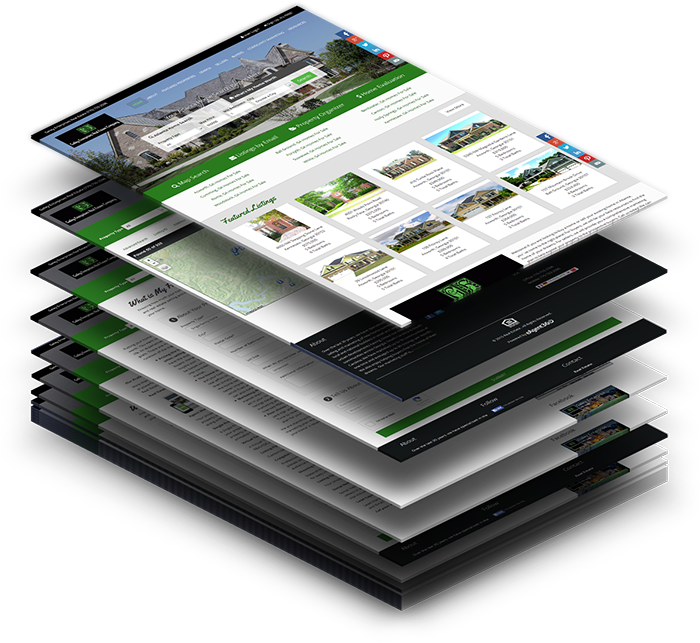 With 90% of the people using the internet to find a real estate broker or agent, your broker website is the first impression to your potential clients. With an outdated or unfriendly broker website, you are most likely losing potential clients. 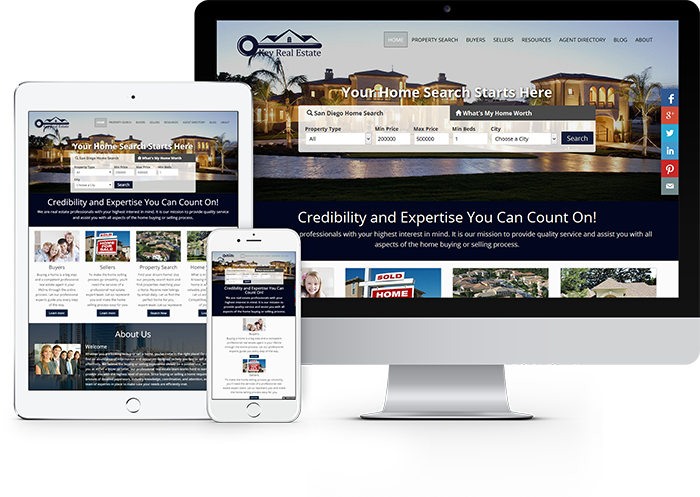 Our high-end real estate broker websites will represent your brokerage and agents with complete professionalism that will attract more clients. Your broker website is also highly functional and include useful tools such as MLS property search, agent finder, office locator, and client search tools that will assist your clients in finding their dream home. Our Proven Solutions. Your Label. Our experienced team at Profusion360 has been developing our real estate solutions for over a decade. Developing your own solutions for your brokerage is costly and will take a team of developers years to develop. Utilize our proven real estate solutions for your brokerage with your label and you will be up and running immediately. Our private label option presents a significant cost savings to your brokerage compared to trying to develop your own solutions. Profusion360 also has a highly-trained technical support team in place to support your brokerage and all of your agents. Your agents will contact us for all support needs so you may focus on the real estate business. The broker platform is a cloud based solution completely hosted and managed by Profusion360. We host and manage all aspects of the broker platform including the platform itself, broker website, agent websites, all listing marketing, and more. We monitor and maintain the hosting server to ensure it is running and powering your broker platform properly. With our broker platform, you’ll know you have a team of professionals behind you and your agents. Our trained technical support team is always available to answer any questions you or your agents may have. With our broker platform you’ll have a peace of mind knowing hosting and support for your brokerage and agents is taken care of so you may focus on the success of your real estate business and clients. Each Broker Platform is customized and tailored to your brokerage. Contact us today to get your Broker Platform. Profusion360, formerly eAgent360, started as a true technology company with expertise in Internet Technology in 1996. For the last 12 years, we have dedicated a team to be extensively involved in developing real estate technology to fulfill the requirements for affordable and user-friendly internet-based real estate marketing solutions. Copyright © 2017 Profusion360 . All rights reserved.